This past weekend in Dallas, Texas, was replete with spiritual motivation, food for the soul, and blessings for everyone who attended. The 2017 Fatima Centennial Summit celebrating the appearances of Our Lady of Fatima focused on the many reasons why, without the rosary, a deep faith in the power of prayer, and the love of Christ and His Blessed Mother, we cannot hope to touch the culture in which we live. We learned together, prayed together, fellowshipped together, and each had the opportunity to celebrate the first Saturday of October by attending Mass, reverencing the statue, and receiving the sacrament of reconciliation. The effect of the event on me was profound and comparable to a full immersion in spiritual fulfillment of every type. Without the rosary, faith in power of prayer, and love of Christ and Blessed Mother, we cannot hope to touch the culture in which we live. As we reflected on Our Lady of Fatima’s message to the three children in 1917, we also reflected on the five Fatima prayers, one of which we prayed together as a group before each speaker took the podium. In addition, we prayed the rosary with Cardinal Raymond Burke, whose very presence there reminded us of the meaning of true devotion to prayer and action and the importance of taking the Lord’s loving message to a world in need of truth and justice. In so many different ways, what was once unthinkable has become routine. The century since the Fatima apparitions now ending has mocked God, but God will not be mocked: not because He delights in wreaking vengeance on us, but because turning our backs on God only bounces back to us, leading to our own self-destruction. . . . 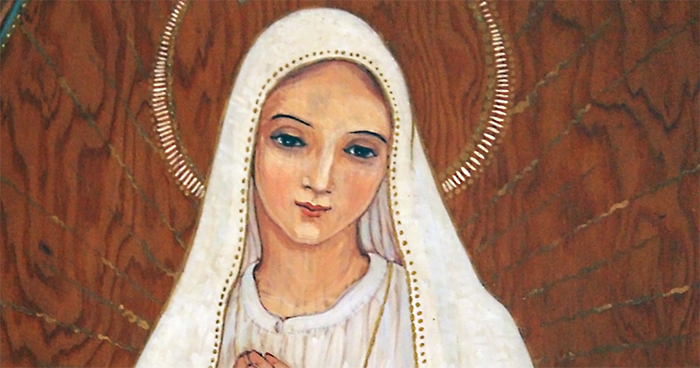 It was such a blessing to read this incredible message from Archbishop Cordileone in the afterglow of our two days in Dallas, our celebration of Our Lady of Fatima, and our recollection of mind and heart. Resolving to live each day with a renewed vigor to put Christ and His Blessed mother first in our lives is what we are called to do daily, and a renewal of such spiritually nourishing ideals brought joy and peace to my soul. For that I thank Thomas McKenna, founder and president of Catholic Action for Faith and Family. McKenna organized the Centennial with the able assistance of his team in San Diego and his collaborators in Dallas. He did a masterful job. I thank each of the speakers at that event for driving home the message that our victory over the evils of our day begins with our own commitment to prayer, penance, and adoration and our complete confidence in the power of Christ and the intercession of His Blessed Mother. Most of all, I thank God for such a glorious experience. Let Catholic Action for Faith and Family know that you hope the weekend is repeated annually. Use the outline of American Life League’s Bringing Jesus to Planned Parenthood through Mary as a template for this activity. May the Lord bless us all, and may Our Lady of Fatima intercede for us!